The heart is more often associated with vulnerability than hidden powers. We generally feel the need to protect our heart, building high walls after experiences of emotional pain and hurt. This response is unconscious, and since the modern world teaches us to rely on the brain to guide our life and actions, many of us find it hard to connect to the power and skills within our own hearts. Addressing the fears and feelings of insecurity that can arise and prevent us from opening up to the treasures we hold within, Shai Tubali reveals that the heart, often perceived as our most vulnerable and fragile place, is in fact the source of our greatest potential. Providing practical advice, exercises, meditations, and visualizations proven through his own heart-work practice, he shows how to tap into the heart’s energy field and easily activate its seven secret powers: wisdom, vulnerability, forgiveness, ability to love, infinite energy, transformation, and self-acceptance. He explains how our modern education system develops our mind perception only, focusing on the goal of being successful and urging us constantly to be faster and better. Not only does this not bring happiness and fulfilment, but it may even cause stress and illness. Showing how to transition from mind to heart perception, Tubali helps us understand more about our heart’s skills and how to implement its powers by healing inner energetic and emotional blockages. Calling for a change from one-sided mind perception and behavior, Tubali urges us to get in touch with our core and surrender completely to our heart energy, leaving all misconceptions behind and tearing down protective walls to discover our full potential. 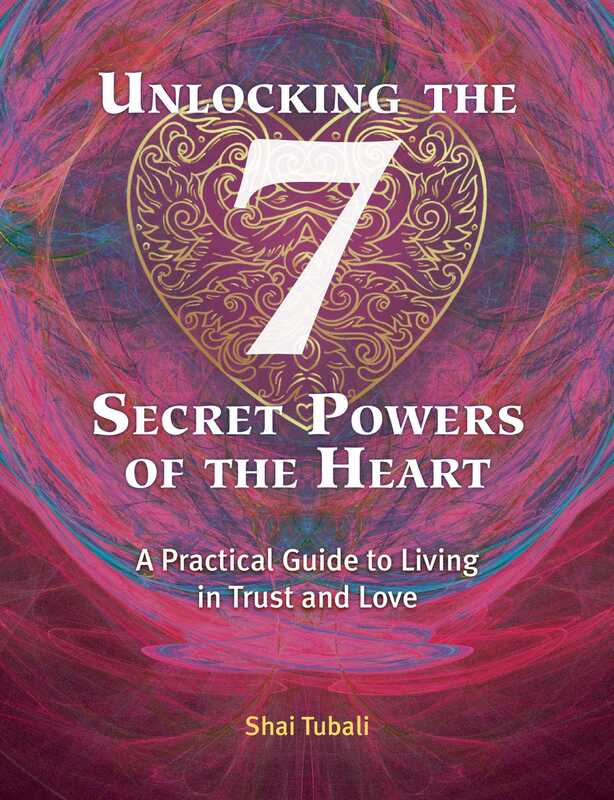 Unlocking the seven heart powers will lead to a deep sense of peace, balance, and fulfilment and enable you to approach life from a place of trust and love. At first glance, the title of this book might seem rather contradictory. Heart and powers? Generally, the word “power” makes us think of energies such as ambition, control, discipline, determination, and stamina. It seems odd, and even somewhat unreasonable, to associate power with love, tenderness, and vulnerability. When we look within ourselves for sources of power and qualities such as fearlessness and resilience, our heart is not the first or most immediate place that comes to mind. Indeed, the mind--the seat of our mental and logical reasoning--tells us that relying on the heart’s energies might make us weaker, unable to cope, and far too delicate to resist pressures and protect ourselves. We would end up utterly fragile in a violent and unrestrained world and vulnerable to abuse or exploitation. But is it true? This small book carries a strong message: the heart is your greatest source of power. In fact, when you search for a sense of self-worth, confidence, and determination in your so-called “tough” areas of willpower and ambition, you lose touch with the one resource that could provide you with immense fortitude. All the qualities and strengths we associate with individual power exist in abundance within your heart. You probably found this book after being guided by intuition-- the heart’s capacity to recognize in a nonmental and nonlogical way what is true and what is not true. This intuition has gradually moved you away from the conventional sources of individual power: uncompromising ambition and competitive ness, coercion, discipline, and desire. However, renouncing the usual energies of power does not mean you should turn to the other extreme of weakness. Instead, you can tap into a lesser known power resource that always feels “right.” Indirectly, almost all human beings recognize to some extent the power of the heart. Books and films in our popular culture are packed with inspiring stories and mythologies of what people were capable of doing in the name of love and the infinite energies that could motivate men and women when they believed in something with all their heart. The heart is where the core or the center of your being--your “innermost”--dwells. When you know your heart, you know your innermost. When your heart is “closed,” you are out of touch with your core, or you do not allow others to get to know it. Intuitively, we all recognize that; after all, this is the heart’s literal meaning. That’s why when you “get to the heart of the matter,” you have tapped into its central or essential issue. As our innermost, the heart is the deepest place from which we choose and act. It is the center that defines our values and sense of meaning in life. We admire famous figures for heroically “following their heart,” for acting only according to their deepest calling despite everything they have been told. Clearly, the heart is associated with our authenticity, our capacity to listen to the voice of our true self, just as yet another common phrase advises us to do--to “listen to our heart.” We recognize that the heart is wise. It has its own intelligence, which it speaks in its own language. It is a source of wisdom that connects us directly with what is true in us. For this reason, if there is an internal realm that could serve as the abode of our “soul,” it is without doubt our heart. Even though our mind clearly has many vital functions, it is in this sense only the heart’s servant. When we appoint the mind master of our being, we become confused, perplexed, and tense. Trying to “use your head,” as many suggest we do when in states of confusion, often leads to a deeper inner turmoil. In the absence of the heart as the one true master of our inner world, the mind loses its balance. You ask it to do things it cannot do. For example, your mind has no idea what the meaning of your life is. Interestingly, neither has the heart any “idea.” “Knowing” for the heart is not like knowing how to prepare financial reports, or how to compose an argument in a convincing manner--its “knowing” is more like “feeling.” It feels what really matters in life because it is connected to life’s deeper sense. Through this feeling it orients itself in important choices and decisions. For the best results, write down your answers. Identify a moment or an event in your life in which you felt connected to your heart. Let the memory of that moment or event become alive in you. Immersed in this relived memory, ask yourself: Why do I consider this as being connected to the heart? What does this connection mean to me? Now identify a moment or event in your life in which you felt your heart was open. Once again, let the memory of that moment or event become alive in you. Then identify a moment or event in which you felt your heart was closed. Recall that moment or event as intensely as possible. Immersed in these two reawakened memories, ask yourself: What does the heart being open mean to me? What does the heart being closed mean to me?